Lucke Manufacturing started building Sunflower Pans / Harvesting Systems back in 1966. From 1966 to 1978 we used a beater reel or drum just like all the others still use today until we figured out how to make our system work without it. 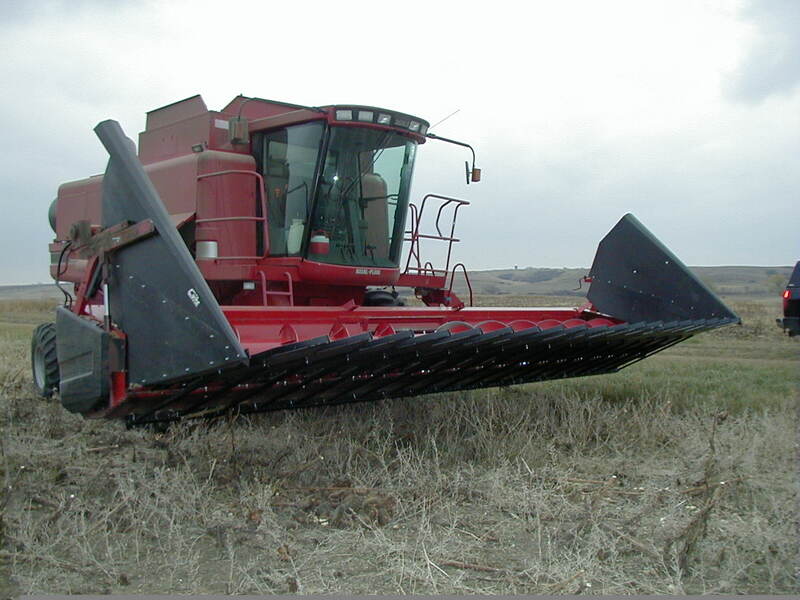 The beater / reel, in reality, slows down the ground travel or acre per hour and causes way more damage than good. The biggest problem with having a system which relies on the beater / drum is the loss of seed due to shattering / throwing the seed out of the header. We always lost 200 lbs. per acre for each and every customer when using the beater, and when conditions were dry this loss would go up to 300-400 lbs. per acre very easily. Example: If you have 1,000 acres and lose 200 lbs. at 10 cents per pound that is $20,000 on the ground. And at 15 cents per pound you would have $30,000 on the ground. This example, a new grower, will neither believe or understand. In the past every sunflower grower accepted the loss in the field but now many of our current customers (including ourselves) know better. The Lucke Non-Reel Sunflower System comes with instructions for mounting the pans on your combine and also includes a guide to set the combine which must be followed and used when harvesting sunflowers. 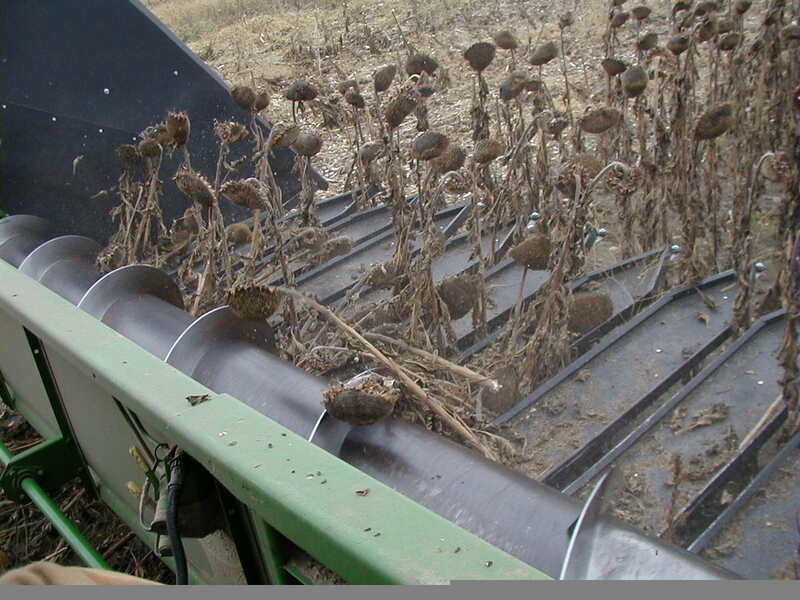 Remember, after almost 38 years of perfecting our system, we now know the secrets of what it takes to make a sunflower harvesting system work, and we do it without a beater or drum to shatter and lose the seed. For MacDon, Cat and Honeybee Headers that have a draper belt. We built sunflower systems for MacDon Headers several years ago. We made fixtures, patterns, jigs, etc. to fit the MacDon Header. These headers are very weak underneath, and we went through an awful lot of work to fit them. When we tested the header at the field, the system worked well for about 1/2 hour. It was a beautiful day for combining sunflowers. The combine starting slugging about every 30 seconds apart. Approximately 45 minutes after use, we stopped and tightened the draper belt beyond the recommended tension that is stamped on the back side of the header. What happens is that the shell seed works under and smashes on the rollers, which in turn causes it to slip. I was born on a farm and people our age know what happens when we start combining and we get too many green weeds or material on the draper belt; it will slip. This is what happens with the draper belt of the MacDon header. One of our first customers that owned a MacDon header, Richard and Paul Anderson, Coleharbor, N.D. They asked us to install one of our Sunflower Systems on the MacDon header. Kelly Kirby from Gettysburg, S.D. was the second customer. Who owed MacDon Headers, I discussed with Kelly all the information I had learned regarding the draper headers and told him it would not work. He refused to believe me, as the MacDon header, worked well on grain. He bought that one system, as well, as one for his brother. He went through a lot of extra work because he just didn't believe me. There is some usage of the MacDon Headers using plastic fingers, wrapping the reel with screen or mesh and they are basically taking the head of the sunflower only. These are the new growers and they do not understand the tremendous amount of shelling. 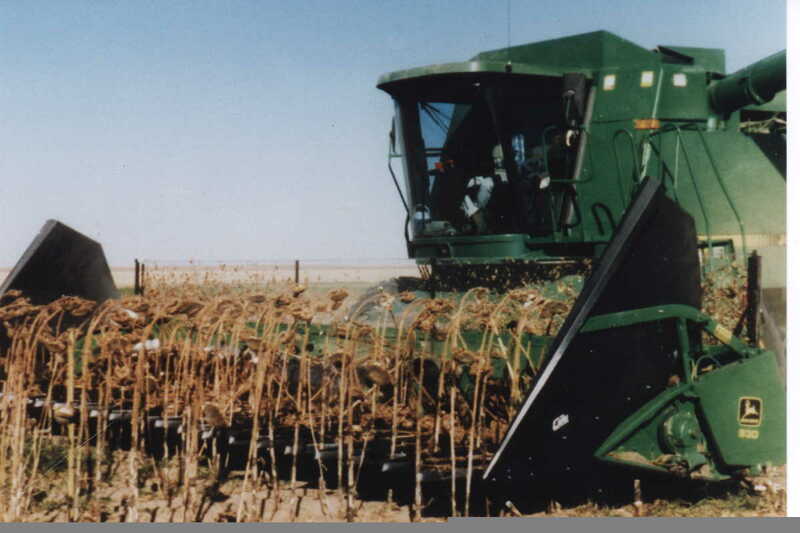 As you look at our Internet site you will see that we are putting a good portion of stalk through the machine. The excess of stalk means nothing, if the person can leave the old way of harvesting behind and adjust the machine. 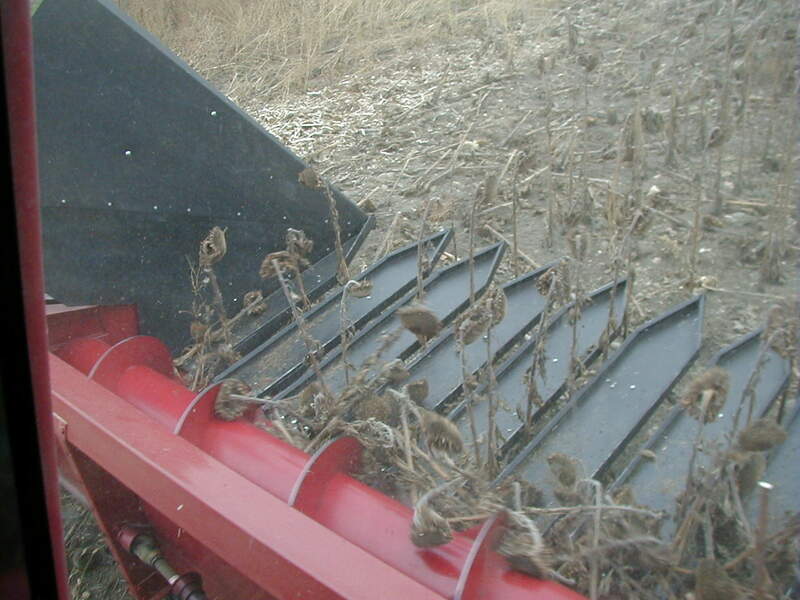 This in turn will save a lot of seed as well as an application of disking as the stalks will be chopped. We do not know if you have seen our systems up close. The dividers are very high and painted black. I started manufacturing Sunflower systems in 1966 as a young man. Most people do not know is that every sunflower manufacturer has copied me in some way. I would like to sell you a system, however, if you have any amount of sunflower acreage we suggest using a different header. Therefore, you will be saving a lot of seed. P.S. : When we used the round drum we always wasted about 200 lbs. per acre. Very few farmers understand the Hybrid seed and that you cannot detect the loss because of a very small amount of seed lost is germinated in the spring. The rest rots in the ground and cannot be detected. When placing an order for one of our systems we must know the make of your combine, header measurement (must be measured in the auger / sickle area, not divider points) and the pan size you'd like (9" or 12" widths). 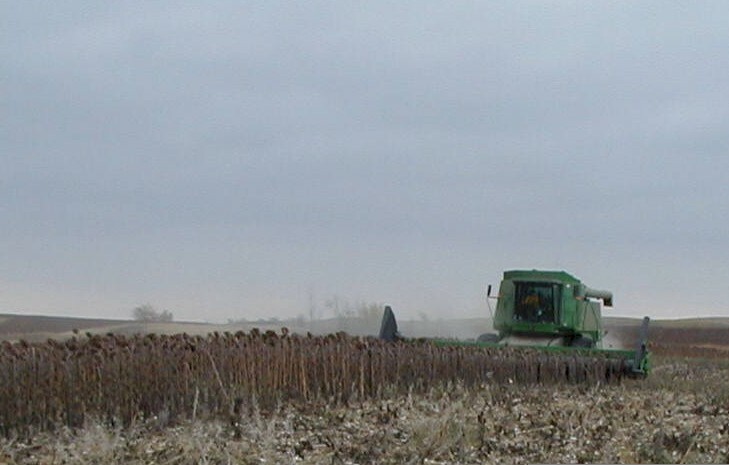 For example: a John Deere header will measure 19'6" for a 20' header. 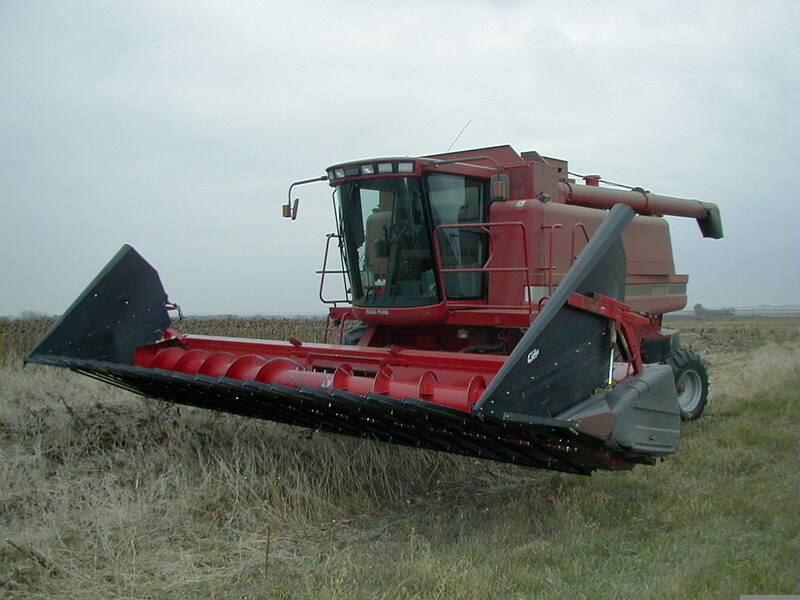 International Harvester combines may have two different measurements for a 20 foot header, i.e. 19'10" or 19'6". Case-IH & New Holland owners please check your guard bolt size ie. 3/8" or 7/16". Choose the 9" pans for other row sizes, solid seeding, etc.- 9" pans have openings of 12" on center of slots and allow more openings for a given header size than 12" so they'll work the stalk less getting it in the combine. Choose the 12" pans for 30" rows - 12" pans have openings of 15" on center of slots if this is the majority of your acres. 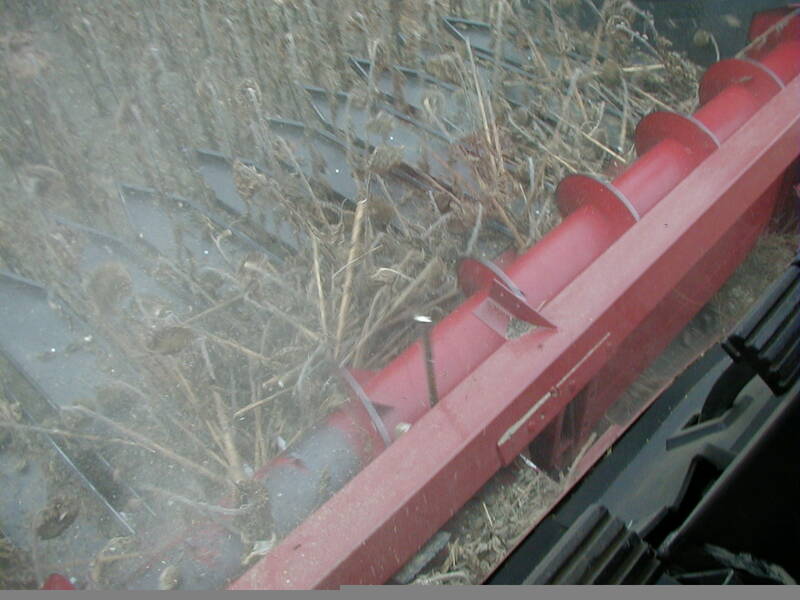 12" pans do work the stalk more getting it into the combine w/ solid seeding. Check our Sunflower System prices for 2018 by clicking here! 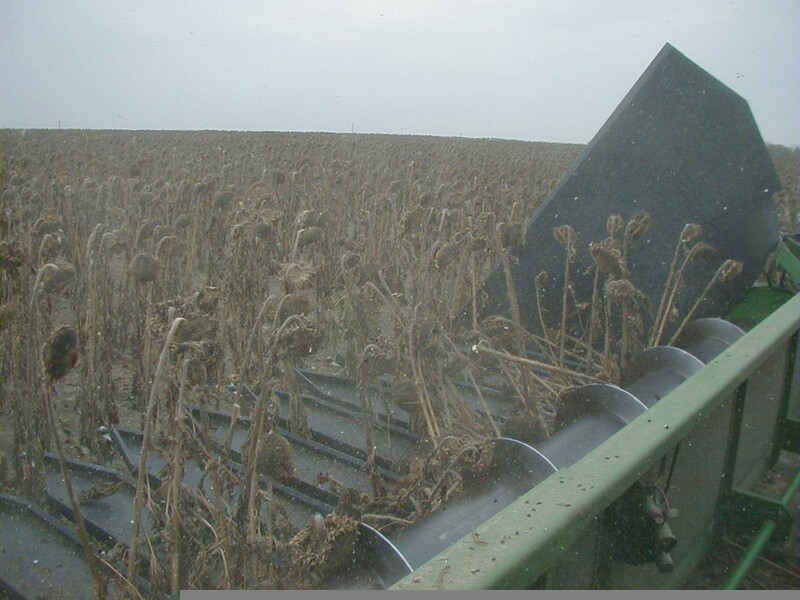 LUCKE MANUFACTURING is the oldest manufacturer of Sunflower Harvesting Systems. PRICES SUBJECT TO CHANGE WITHOUT NOTICE / PICKED UP AT MINOT, N.D.
Our sunflower systems ship by truck.